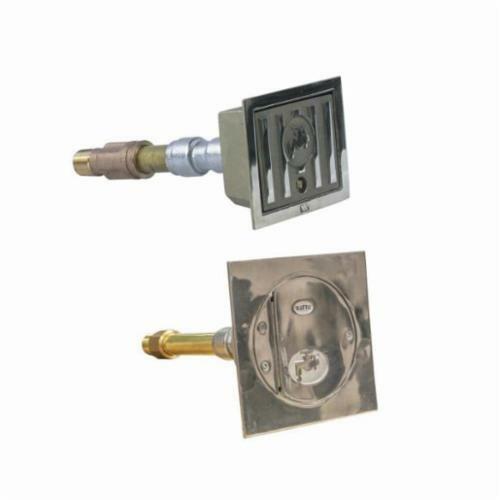 Watts Drainage Products HY-725 concealed non-freeze key operated wall hydrant with nickel bronze box and door, chrome plated hydrant face, integral vacuum breaker, 3/4 in. (19mm) hose connection, 3/4 in. (19mm)female X 1 in. (25mm) male pipe connection, all bronze head, seat casting and internal working parts, bronze wall casing, and loose key. Complies with ASSE 1019-2004, UPC/IAMPO Listed. Max. operating pressure 125 psi.